Verify you’re registered to vote with your birthdate and driver license number. Hand in your mail-in (VBM) ballot to avoid being late. Sign the back and drop it off today at the Civic Center, or tomorrow at the University Hills Community Center. Have the poll worker look at it carefully: 47.1% of rejected VBM ballots this spring were late, not signed, or had a signature mismatch (The Orange County Register Oct 19). • Drop off your vote-by-mail (VBM) ballot. They’ll check that you’ve signed it correctly before accepting it. Better than a mailbox. • Drop off your friend’s VBM ballot. They’ll check that your friend endorsed it to be handed in by you. You can hand in any number of your friends’ VBM ballots if they’re correctly signed. • Hand off (“surrender”) your VBM ballot that you made a mistake on, and vote in-person instead. • Register to vote and vote the same day in-person. • Vote using a voting machine or by paper ballot. They have 24 stations at the Irvine Civic Center. • Get any kind of voting assistance. They are all trained Registrar employees, and they’re there to help. Tomorrow! 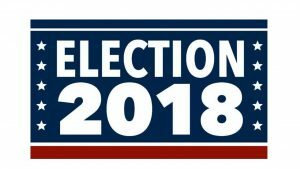 Where to vote Tuesday: University Hills residents vote in person or drop off their ballots at the University Hills Community Center at 1083 California Ave. Same services as above, though more restrictions apply. Lookup where to go vote: Tell your friends anywhere in OC there’s a fast way to find their polling place. Call them. They’ll be glad to hear from you. First time voter? Unsure what you might need to bring to show residency? Check the list, there are plenty of documents that will work, some you may not have known about. More questions? Call the help desk. They’ll dial back automatically if they’re busy. They are working overtime for you. We should get all these up on the UHills website as public service information. It’s not rocket science, and doesn’t change significantly year-to-year.